The information war can be quickly lost if one cannot get their assets onto the “battlefield.” For the US, UK or Europe, the constant din of their propaganda spread across the planet via their impressive and immense media networks has recently run into a few snags. In nations like Russia, China or Iran, ruling governments and local industry have begun creating their own Internets, their own alternatives to US-controlled social media platforms and search engines, and in some cases, even their own hardware to run it all on. They have also taken a cue from the US and decided to put in “kill switches” and censorship measures to prevent information from abroad being piped into their nation and disseminated among their populations. For instance, the US State Department’s Voice of America network openly attempts to insert narratives favorable to US interests in targeted countries. So important does the US State Department see this mission, it has even attempted to construct independent communication networks by building their own towers and relay stations. 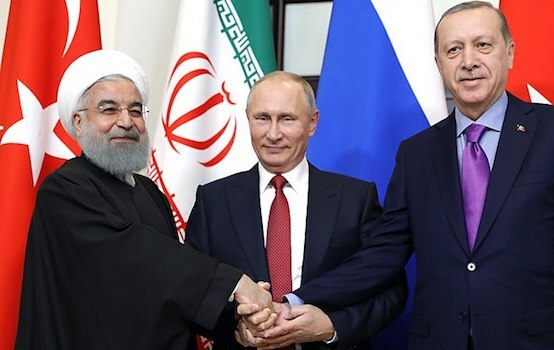 But the problem the US State Department and the special interests that underwrite it, is that such solutions are easily overcome by other governments, and even non-state actors operating in the defense of their nation against US-backed sedition. In order to crowdsource such a project, and have it spread prolifically across the planet, it must be made to appear altruistic, unattached to the political subversion it is actually created for, and put into the hands of unwitting, well-intentioned hackers for the purpose of building it, refining it and perpetually updating it to adapt and overcome whatever challenges it faces. 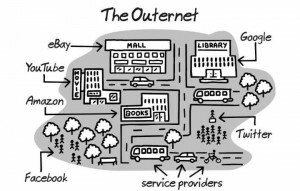 At first glance, the Outernet looks like an amazing social project by genuine people interested in empowering people with the vast amounts of free information available on the Internet. It is a satellite based broadcast, meaning it can reach anyone on Earth with a receiver. And while it talks about a “library in your pocket” and how having that information could change society, it also talks about the inability for sovereign governments to censor it. But who would want to censor a library? At second glance, one will notice Syed Karim, the “founder” of Outernet. Karim was previously “director of innovation” at the Media Development Investment Fund (MDIF) which, surprise, funds the Outernet. 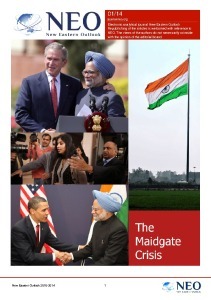 And in turn, MDIF is run by former employees of Open Society, with Open Society funding MDIF. In other words, at second glance, we see Open Society behind the Outernet through a series of carefully concealed fronts and an incestuous, tangled web of conflicts of interest. The initial nobility of the concept only further spirals into the abyss of government and corporate sponsored mass public persuasion and manipulation when one reads the archives of what has actually been broadcast already using Outernet. Some of my favorites include “war surgery,” perfect for America’s terrorist mercenary army now operating in Yemen, Syria, Iraq, Lebanon and Libya. There is also FEMA, WHO’s Ebola site and the Albert Einstein Institution: Advancing Freedom Through Nonviolent Action. The Albert Einstein Institution, it should be remembered, played a central role in building up the US State Department’s various networks behind so-called “color revolutions” that have since hit Ukraine, the Middle East and even as far as Southeast and East Asia. Content is broadcast based on “votes.” But as everyone should know, voting itself is subject to mass manipulation either of the voters’ own perception, or of the very mechanics of the vote itself. It is also very clear that content that is either well sponsored, or is put out by well organized groups, gets placed toward the top of the list including links to the Jehovah Witnesses. Thus the “great equalizer” Karim claimed Outernet is, is in fact yet another channel of Western government and corporate propaganda, giving those who already monopolize vast territory amid the information war, yet another weapon to use against unsuspecting minds. The only real feature that makes Outernet different from cable television or the Internet, is the fact that it is broadcast from a satellite, and thus difficult to block in a targeted country, and receivable by whomever the US State Department takes pilfered tax dollars and buys receiver sets for. Currently, however, there is also a lot of very useful information that is being broadcast, voted up by legitimate users of the system, using the system as it should in theory be used. The problem is, whenever special interests want, they can override “the vote,” and spread propaganda and sedition anywhere on Earth. It should be noted that projects by Google and Facebook, both partners of the NSA and its information war against humanity, have similar plans to Outernet. They propose roving drones or airships that transmit the Internet all over the world like Outernet’s satellite arrangement. Again, it would be assets controlled by the US government and corporations, and potentially beyond the reach of sovereign nations targeted by broadcasts and the sedition they are there to support. It is clear that at least one foot has been placed in space, regarding the ongoing and ever-evolving information war. Other nations are likely to follow suit, placing their own broadcasters above the West and beaming down information the West would otherwise like controlled or silenced altogether. 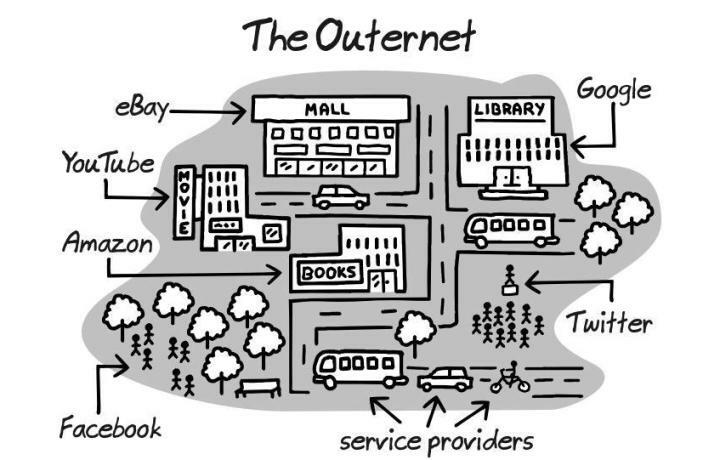 For the hackers and enthusiasts clamoring over the idea of Outernet, they can’t be blamed. But they would be wise to look deeper into who is behind it, and think about alternatives they could create to truly realize this concept as it should be, and deny these interests yet another noble cause to hide behind, and ultimately ruin with their deceit.